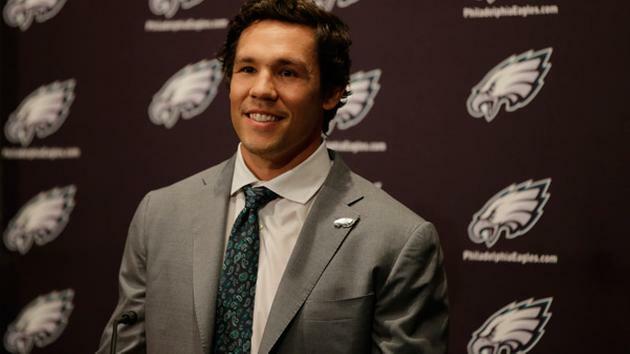 New Philadelphia Eagles quarterback Sam Bradford has a big fan in head coach Chip Kelly (we think) but sporting goods store owners are singing a different tune. 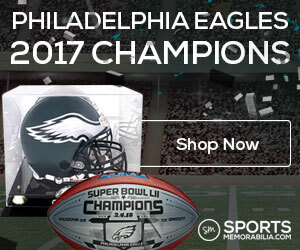 According to Philly.com, local store owners are petrified of selling the jerseys of new Eagles including Bradford due to Chip Kelly’s itchy trigger finger this offseason. The story goes on to include the tale of a Modell’s based in Cherry Hill, New Jersey that sells jerseys for Mark Sanchez..but not for Bradford. Trader Chip is sending businesses into a tizzy over his desire to “flip the roster” and mold his own team. From the sounds of it, people may not be convinced Bradford will start under center for the Eagles until he is…you know, actually starting for Philly.